10 Trinity Square, a short walk from Dundas Subway Station. 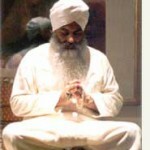 Yogi Bhajan became Master of Kundalini Yoga at the age of 16 in his native India. He came to the West in 1968. The authority to be the Mahan Tantric (Master of White Tantric Yoga) was bestowed on him in 1971. The practice of White Tantric Yoga, as with most sacred Eastern wisdom, had previously been a tradition passed on from teacher to student in a mystical and selective way. As a pioneer of this age, Yogi Bhajan decided to open the experience of White Tantric Yoga to anyone who wanted to commit to the discipline. In 1971 in Los Angeles, for the first time in history, White Tantric Yoga was taught publicly. Until 1986, he traveled throughout the world presenting as many as thirty workshops each year to thousands of students. In 1987, using his unique abilities as Master, together with modern technology, he began to present White Tantric Yoga as a videotaped series which has the same effect as when he was physically present. He said the tapes would continue to have the same effect when he was no longer in his physical body. This has proved true, and in fact since his passing from his physical body in October, 2004, thousands of students have confirmed that their Tantric experience is one of being in his presence. It is helpful to come to the course ready to meditate, having done some yoga or stretching exercises. Wear loose comfortable clothing, preferably white (white combines all the colours and enhances your magnetic field and auric strength). Please bring a cotton head covering which can stay securely on your head during the exercises. Wear shoes that slip on and off easily. White Tantric is practiced with the feet uncovered. Please bring a blanket or sheepskin to sit on and a light blanket to cover yourself with during relaxation periods. Because this is a cleansing process you will be asked to drink water. Water will be provided during the day or you may bring your own. White Tantric Yoga® is done in pairs as a group meditation. 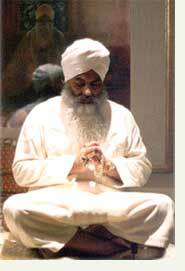 You sit facing a partner and follow instructions for meditation given on videotape by the Mahan Tantric, Yogi Bhajan. A representative of the Mahan Tantric will be present to facilitate White Tantric Yoga®. Sometimes the kriyas are accompanied by music. These kriyas vary in length from thirty-one to sixty-two minutes. There are breaks between each kriya. The environment is peaceful, and the atmosphere is friendly, supportive, and uplifting. A vegetarian lunch is provided. Cost includes a vegetarian lunch. Please note that all sales are non-refundable. This hotel is literally right beside the church. It is a 2 minute walk to the White Tantric Yoga Meditation location. A bit more affordable and about a 15 minute walk to the WTY location. Space is limited to floor space in the Sadhana room and common areas of the Ashram. Contact Daya Kaur for information or to reserve a spot at WTY@TorontoKundaliniYoga.com or call (416) 674-7083.